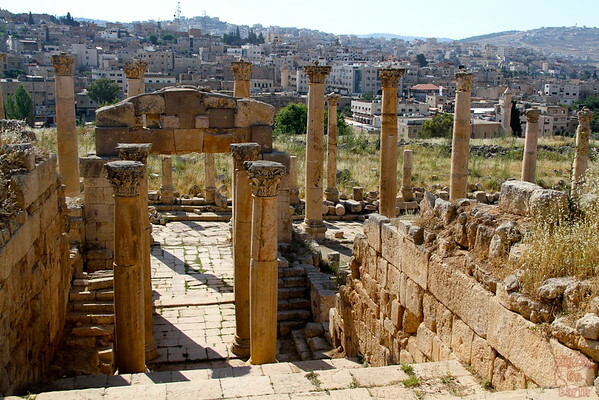 Jerash is one of the main sites in Jordan. Can you imagine having a huge site of roman ruins almost just for you? 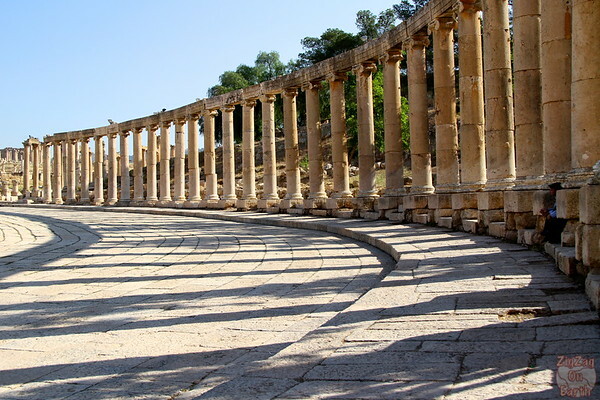 Not in Rome that is for sure… But I was lucky to experience Jerash in a very enjoyable silence and peace. 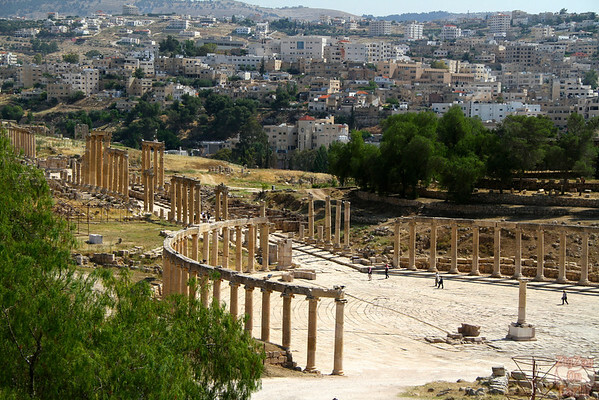 Jerash is considered by most as one of the best roman sites out of Italy. As I have only seen Italy and some small sites in Turkey, I cannot confirm or deny this evaluation. 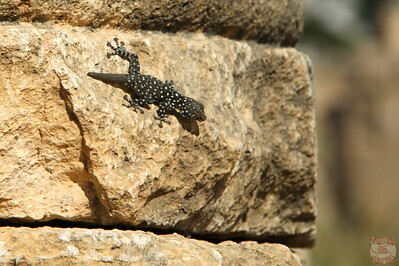 However I can share that I found the site quite interesting with lots to see. I did not ask for a map but I found the signs sufficient for my wandering. Note that there are no explanation so if you are history/archaeology buffs, bring your book or hire a guide at the entrance. There are lots of them speaking a lot of different languages. 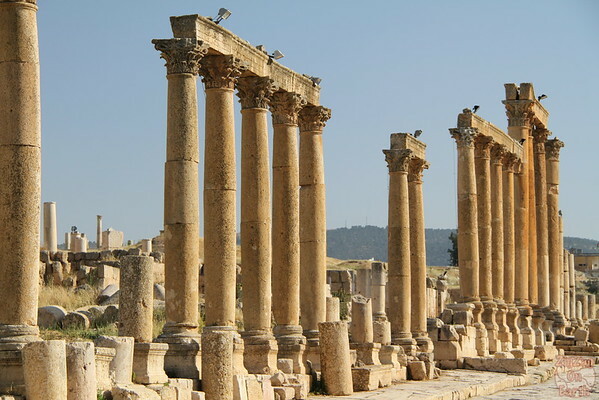 Jerash is 40 to 1h drive North from Amman depending on the traffic. 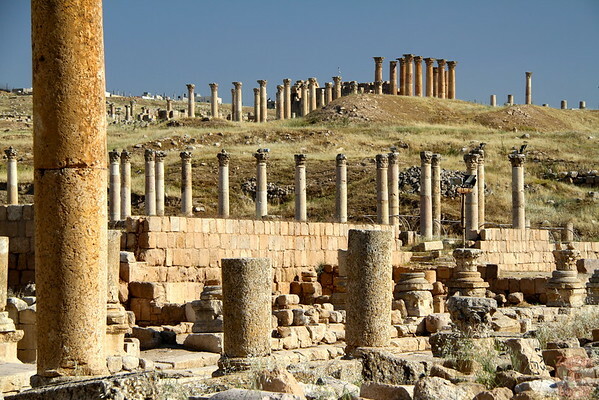 You can easily book a group tour or a private tour from Amman. 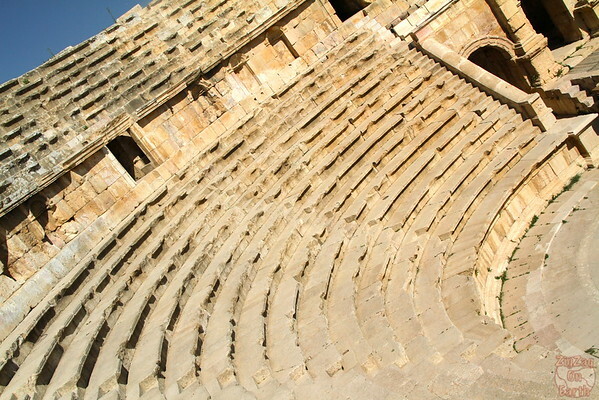 Jerash is a big site without any shade. Plan at least 2 hours and plenty of water. The site opens at 8am and big busses start arriving around 10am. So if you want peace and quiet, here is your spot. Departing Amman at 7:15am, we arrived at the Jerash site 5 minutes before the opening at 8am. Because I enjoy photography, the early and late hours are the best times to visit places. And I was the first one to buy my ticket that morning! 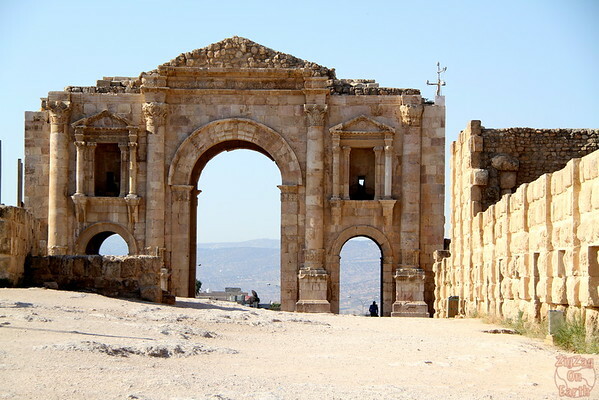 Best time to visit Jerash - early! Because it was early, and people on holidays tend to sleep in, I enjoyed the place almost by myself. 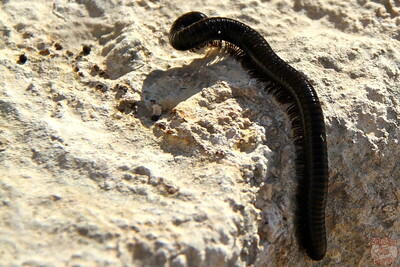 There were maybe 10 other tourists, but as the site is huge I almost never crossed path with them. This was great. I was able to stop, enjoy the peace and quiet and imagine life back then, especially along the colonnaded street. 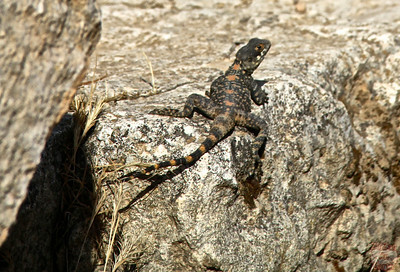 The only locals I met during my wondering were lizards of all shapes and forms and I got a bit crazy trying to photograph them. They can move very fast! At the end of my tour which lasted 2 hours (although I think some people can easily stay half a day), tourists arrived as well as locals. I met a group of children and their teachers who were very happy to try their English on me. It was fun to see those kids so happy and satisfied with themselves for saying a few simple words in another language. A great way to finish my tour of Jerash. As you can see in all those photos there were so many columns! The only things that annoyed me were the spots absolutely everywhere on the ruins. Hard to get a nice photo without them. See this photo below, how many spotlights can you count? 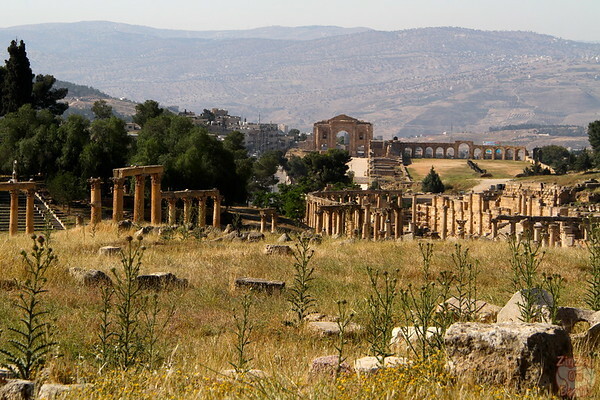 What I particularly enjoyed where the panoramic viewpoints where I was able to capture both the old and the new Jerash. 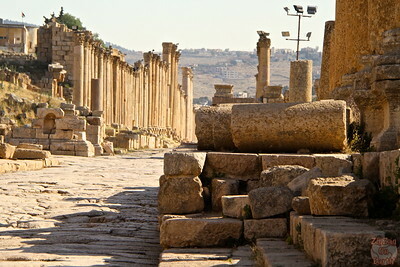 Want to see more pictures of Jerash? 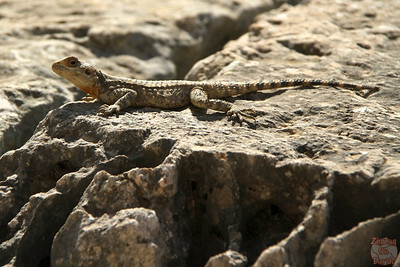 The Travelling Weasels have included many in their Jordan Photos article! Have you seen many roman ruins? Which is your favorite?